The Summer rains can be relentless. The past two months have been mostly warm to hot. In the Netherlands Summers tend to be mild and heat waves do not occur often. Thing is more places in the world were warmer than usual. Even London was subject of a heat wave. When even London starts to heat up something is happening. Luckily there was a little bit of rain. A warm day might be pleasant but persistent drought is not fun at all. Sure you can bronze in the sun but only for so long. People with dust allergies, the elderly and those whose health is lacking feel the effects. When a good shower comes around you find shelter. These pictures are from the 9th of August. In the midst of heat waves there were two good days of rain. 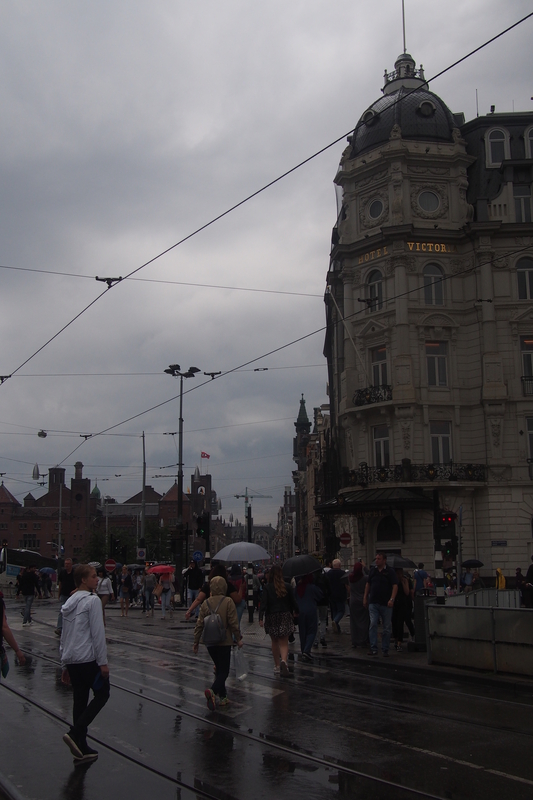 Amsterdam turned grey under the many clouds. Umbrellas popped up like mushrooms on dead tree trunks. Some people were not prepared for the rain. Rain clouds covered the skies. 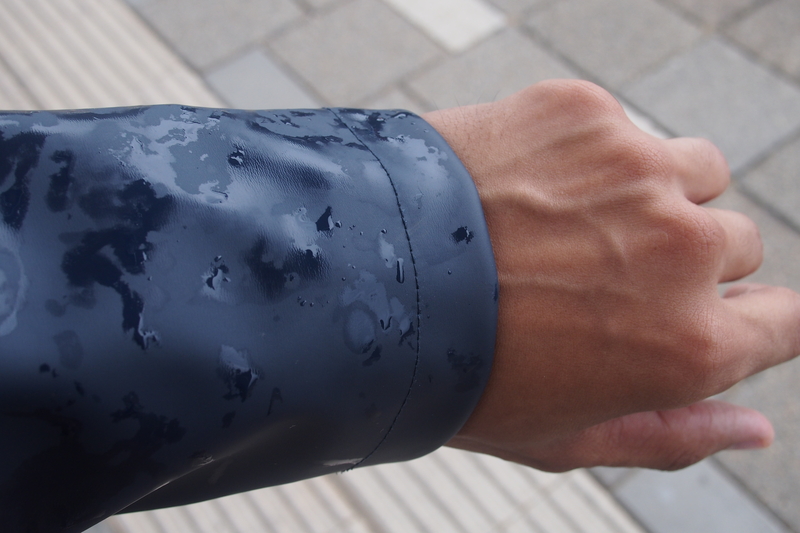 The thing about Dutch Summers is that usually after a few goods days of sun the rain follows. Well that did not happen this Summer. The sun kept shining. At one moment people started walking around in barely more than beach clothes. Even a thin jacket was almost too much. Still many people on the streets. The rain was most welcome if you ask me. I appreciate a rainy day every once in a while. A cool day is pleasant after a warm week. Plus a night with less mosquitoes is not something to sneeze at. On the warmer days you could not escape them. 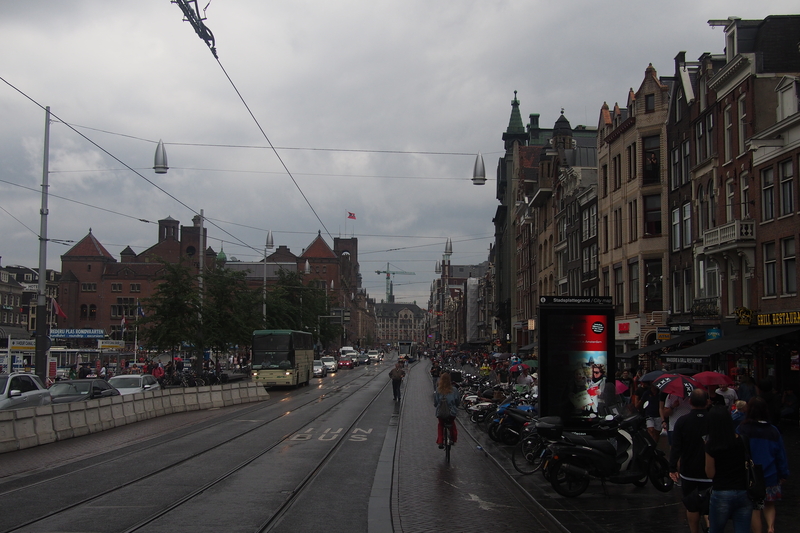 The Dam boulevard was covered in shades. Amsterdam is changing again. On busy days you hardly notice it. 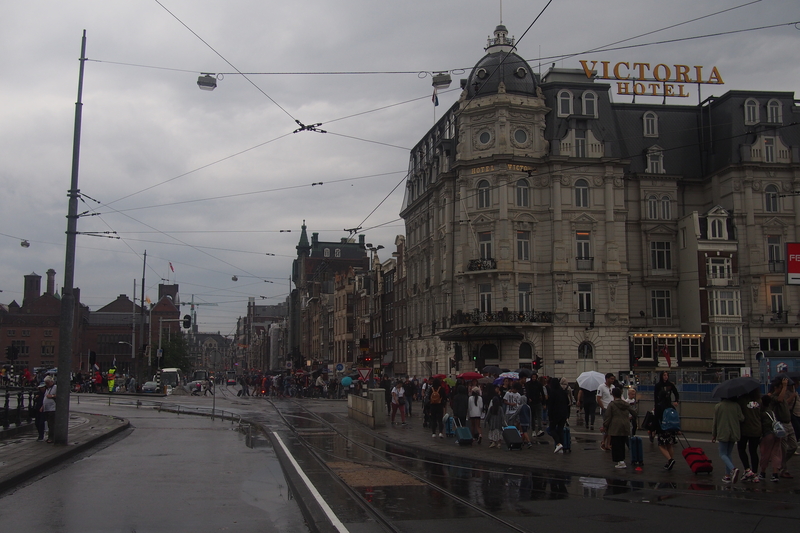 On rainy days the streets are less crowded. You can actually notice the differences. The city centre is now more tourist friendly with more space to walk around. The Dam is now kind of a boulevard. Certain roads in the city are closed or limited for traffic. In the coming time the city is working on making traffic less dangerous. Fewer cars, more space for people on foot. Recently the “Noord-Zuidlijn” was finished. Now Amsterdam North and Central Station have a direct metro connection. This connection has changed the city. What remains is to wait and see how things unfold. 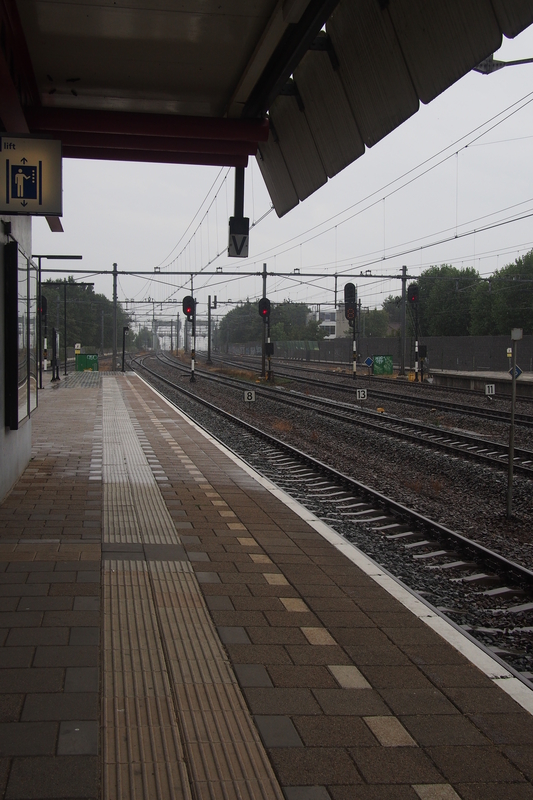 Posted in Short Reads and tagged Amsterdam, cool day, heat wave, Netherlands, Noord-Zuidlijn, people, rain, summer, umbrellas on August 31, 2018 by rura88.